Are you ready for the new Carmen Sandiego? This week, Netflix announced their upcoming reboot series will debut in January. The animated TV show will follow the titular villain (voiced by Gina Rodriguez) around the globe as the show teaches kids about geography, history, and other subjects. Carmen Sandiego has been adapted as a series of video games, books, comics, and other TV shows, including Where In the World is Carmen Sandiego? The game show ran on PBS in the 1990s. 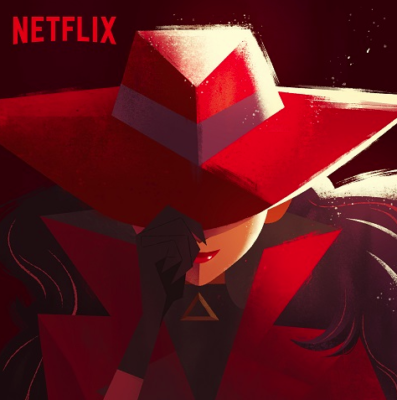 The new Carmen Sandiego premieres on Netflix on January 18th. What do you think? Are you a fan of the Carmen Sandiego franchise? Will you watch the Netflix series? More about: Carmen Sandiego, Carmen Sandiego: canceled or renewed?, Netflix TV shows: canceled or renewed? Yes, I was a fan of the Carmen Sandiego computer game and the PBS TV game shows. I wish the game show can be revived for a brand new generation.